This has been a tough one. It shouldn’t have been. A book of paintings arrives at my house, I look at them, live with them for a while and compose a response. In my years as a writer, it’s something I’ve done many times before, but in a case like this, western society’s obsession with celebrity inevitably rears its ugly head, so that it becomes almost impossible to claw through its obfuscations to see the work free of baggage and in its own light. 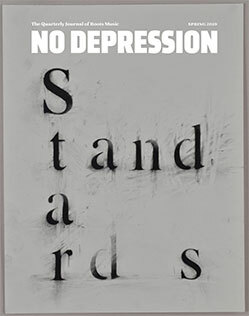 This is too bad because Bob Dylan’s newest paintings are really very good and stand up rather respectably on their own. The man whose tools in trade have long been a guitar and harmonica should feel confident that he could show up at any opening of his work with only a brush in his hand and be taken seriously and treated with respect. Through most of the world’s history, artists haven’t been troubled by the psychic restrictions and almost imbecilic categorizations that they face today. Nobody argued about Leonardo da Vinci’s right to be both an architect and a painter or questioned the literary worth of Van Gogh’s letters in the light of his paintings. It was the creative spirit, not its precise applications that were applauded and experienced by the public. As it is, Dylan’s visual art has often been given short shrift by critics and fans alike. Not surprisingly, he’s been done as much of a disservice by those who applaud everything he does without question or reservation as he has been by those who revel in the opportunity to knock down icons and slaughter the calves that they long ago helped fatten. I am sure that none of this is lost on Dylan and that he was aware of the maelstrom he was willingly inviting by bringing his private passion for painting out of the confines of his studio, and it is a testament to the obvious love and joy in the works’ creation that these paintings are available for the world to see. The first challenge in looking at this body of work, then, is one that greets all established artists, and that is to have the work considered for its own intrinsic value and not through veils of preconception or prejudice. As a discipline, art theory has become so bogged down by philosophical constructs and concerns extrinsic to the art itself, so that more often than not the art – in itself – become secondary to what the artist writes or theorizes about it. My wife – who is a visual art critic for a local Vancouver newspaper – spent part of the weekend looking at ‘The Brazil Series’ paintings with me and said, ‘Y’know, some of these are very interesting and I really like them. They have so much going on in them that is worthwhile, but they (the critics) are going to kill him for these because they’re just good paintings and there’s no theory to go along with them.” Interesting to ponder – we have apparently come to a time when paintings existing simply as paintings isn’t enough. I thought about this for a while, and I couldn’t help but wonder how a man who has spent nearly fifty years resisting interpretation of his work allowed himself to descend into the cut throat world of visual art. Music critics – by comparison – are pussycats. The one disclaimer that I should mention right away is that usually when I’ve written about visual art, I’ve been responding to an exhibit where the paintings are right before me, sharing the same space as I am. Anyone who enjoys looking at paintings knows that the experience one has looking at a reproduction is different than standing before an original work where one can breathe in its full three dimensionality. When standing before a painting, one can feel the weight and tone, experience the layering of brush work, see the colours without the distortion that inevitably occurs when judging a painting from a photographic reproduction. For some very obvious practical reasons, it was impossible for me to fly to Denmark and see these paintings firsthand, and my impressions are based on the wonderfully produced exhibition catalogue sent to me by the curators in Denmark. By way of background, this new exhibit entitled ‘The Brazil Series’ was commissioned by The National Gallery of Denmark in response to Dylan’s successful ‘Drawn Blank’ series that grew out of a collected book of sketches bearing the same name that was first published in 1994. Using these sketches as a starting point, Dylan spent the past several years executing and exhibiting watercolour paintings and prints that were inspired by them. 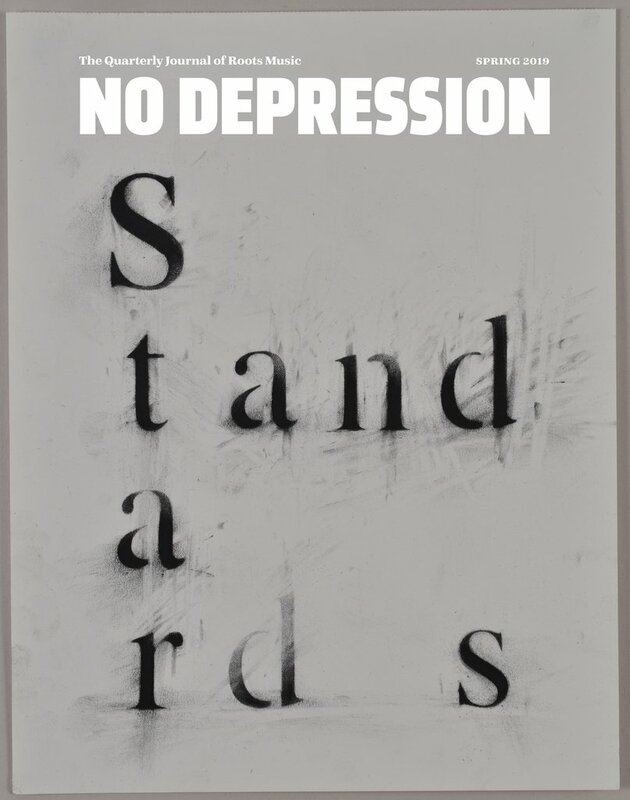 By reviewing the evolution suggested by this series of exhibits, it is easy to see Dylan’s command of his medium and growth as a visual artist. As pleasant and quietly rewarding as many of the images in the ‘Drawn Blank’ series were, there was nothing that distinguished them from the work of many other dedicated and talented amateurs. It should not be taken as an undue criticism that – a certain maturity of insight into the human condition evidenced in the works aside – these images were not always noticeably better than one would see featured at an end of the year exhibit at any number of art colleges in North America. This new series, however, is a different matter entirely. For the first time, Dylan is exhibiting works that were painted in oil, and the change in medium has made all of the difference. The physicality of working with oil has forced Dylan to plunge in more deeply to manipulate the paint, and as such his subjects have taken on a weight and authority that has been missing from his earlier work. The tones, depth, and dimension of oil are far more suitable to the subject matter into which Dylan immerses himself than the watercolour ever was. The title of the exhibit may in itself be enigmatic or metaphorical, but I’m not sure. So far, I’ve resisted reading anything Dylan may have said about this work, but I know that – while wearing his musical hat – he’s toured the country on several occasions, and that some of the locations he paints are definitely representations of Brazilian life. But, I am also sure that in the same way that Terry Gilliam’s film, Brazil was about almost everything other than the South American country, these paintings are not essentially about any place in particular. Rather, the moments in time that Dylan captures in these paintings may have been first recorded while in Brazil, but the initial responses and impressions he elucidates are nothing more than a starting off point for the far more interesting forces and ideas that are at play in the best of these paintings. The paintings are unified by a sense of disquiet; unguarded moments are brief, repose may last no longer than the time it takes to light a cigarette or sit down after carrying a heavy load uphill. In paintings such as ‘Talebearer’ or ‘Renunciation’, one has the sense that a moment has just passed or is set to take place. As viewers, we arrive in the middle of an indefinable shift between scenes; forces are already in motion, and we have no time to adjust to where we are. Dylan deftly captures the moment when dispositions, actions and emotions are about to tilt. In ‘Barbershop’, my favourite of these paintings, we can imagine the men restlessly jiggling their legs as they listen to the ominous suggestion of thunder just beyond reach of their ears. Has the power been cut off? Has the painter intruded where he does not belong? What are the figures searching for? Maybe nothing. The faces, gestures and attitudes of the people Dylan paints are not of people who question and plead. They are fatalists who resist belonging to any movement; their motions are timelessly locked in an antiquarian world. These are not representations of people who have high speed internet connections or who follow anyone on Twitter. The paintings are rendered in oil, but often the tonal qualities suggest clay, evoking a smell of humanity and the earth; Van Gogh’s potato eaters for an unmarked century. They are not symbols of anything; they are not so much cut adrift as left with the realization that they have nothing to prove. No one would listen anyway. Dylan’s subjects are left eternally to sort things out for themselves though they may be surrounded by others on similar searches or in identical predicaments. The world that surrounds each painted figure is full of teeming, almost choking vegetation. The plants are fighting back; they have pushed right up to the doorstep of human development. In landscapes such as ‘Mango Swamp’ or ‘Oak Grove’, nature is not calm, placid or Edenic. Air hangs thick, humid and oppressive. There is no refuge in these paintings for viewers seeking solace or a quiet idyll. Nothing Dylan paints behaves; changes in barometric pressure, suggestions of gathering storms threaten in the subtext of these canvases. Forces are mercurial and play second fiddle to no one’s desires. To say that Bob Dylan has grown as a painter would be an understatement. The unremarkable pleasantness and tasteful aesthetics of his watercolours left me unprepared for the Brazil Series. He’s gone from a passionate hobbyist to a ‘contender’ in one exhibit. A friend who saw the exhibition catalogue on my work table last night offered, ‘That Mango Swamp is where ‘she’ went off with the man in the Long Black Coat.’ I had to laugh. She was right. The image fit perfectly. I wish she didn’t say that. I had wanted to avoid writing about the connections between Dylan’s music and his painting so that the canvases didn’t get short shrift. I wanted to avoid the question my friend inevitably asked me – ‘Do you think he’s as good a painter as he is a song writer?’ Well, not yet, he’s not. But, Dylan is a perceptive soul, open to the human condition in all its hues and colours, and it doesn’t take much to understand that the artist who painted ‘Desolation Row’ with words is still assimilating what he sees and expressing it with colours he encountered while travelling down a different avenue. What little I’ve read in the way of criticism of Dylan’s paintings seems to focus on their lack of originality, and his stylistic similarity to the impressionists and the expressionists. There’s some truth in this; he’s guilty as charged. But, that kind of criticism strikes me as kind of smug and it certainly misses the point. It’s not as if Dylan broke the mould by singing folks songs and accompanying himself on the guitar – it’s what he did with the form that was remarkable. In the same way, Dylan fits into certain traditions of painting, but he’s got a story to tell, and it’s one I enjoy experiencing. For my part, I could look at paintings like ‘The Vineyard’ and ‘Ranchers’ for the rest of my life and still see something new each time. And, what more could one possibly ask for from a painting than that?